Even the most casual student of the classics will recognize the names of great Italian painters. Botticelli, Caravaggio, Verrocchio–the list goes on and on. Their descendants made their way in droves to Pittsburgh, settling largely in Larimer, Bloomfield, South Oakland, and other parts of the city. And they continued to paint. 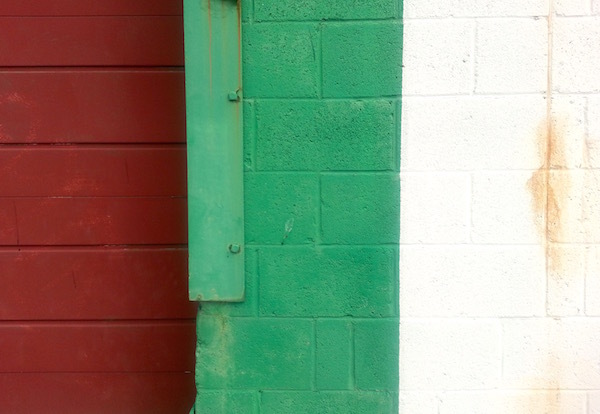 The medium of choice is still oils (albeit exterior enamel) and they’ve simplified their color palette to the trinity of green, white, and red. Boldly eschewing the staid canvas and gallery presentation, these artists work large and for the world to see: on cement walls and park benches, street lights and entire houses. 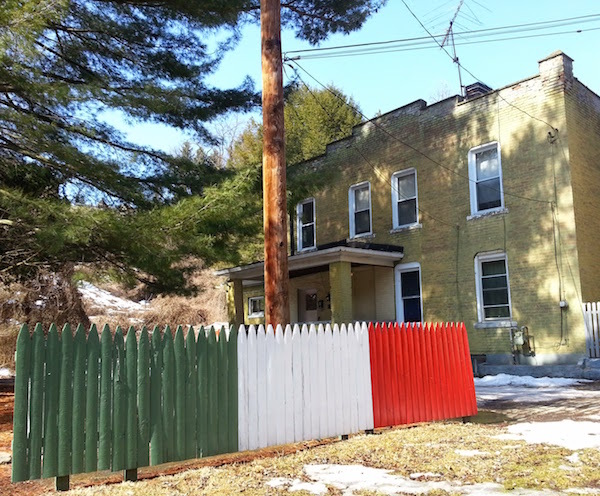 It’s curious to me that while Pittsburgh’s great expansion in the late nineteenth and early twentieth centuries was famously from eastern and southern European immigrants, it seems that only the Italians felt the need to reproduce the flag over and over again. Why don’t we see crude renderings of the white eagle on garages in Polish Hill and Lawrenceville? 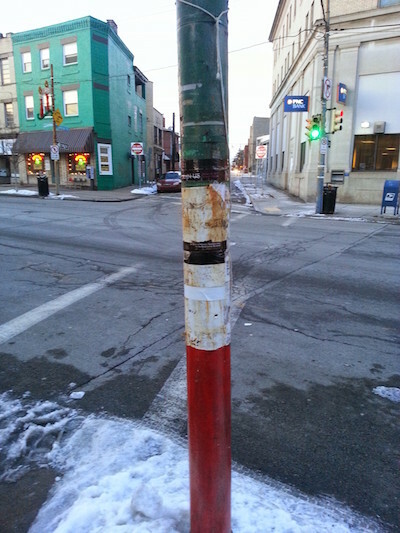 Why no black, red, and gold telephone poles in Deutschtown? We’ve got (people who identify as) Croats and Slovaks out the yin yang. Who’s representing? 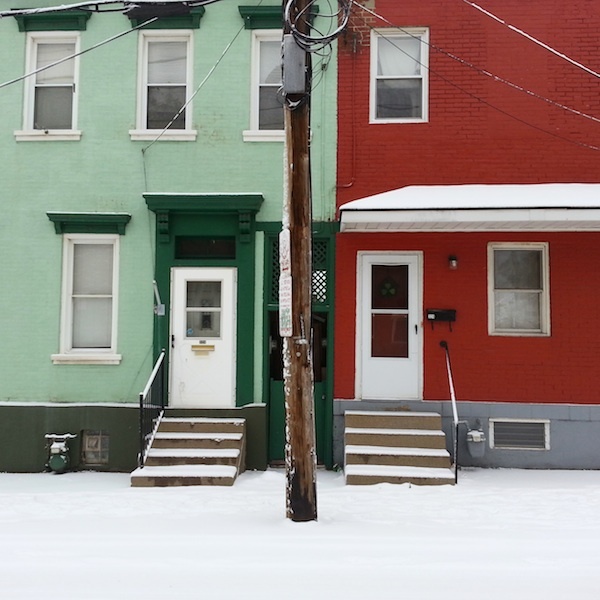 While only a fraction of the population of those other neighborhoods, the tiny neighborhood-within-a-neighborhood of Panther Hollow has possibly more Italian colored things per capita than anywhere else. 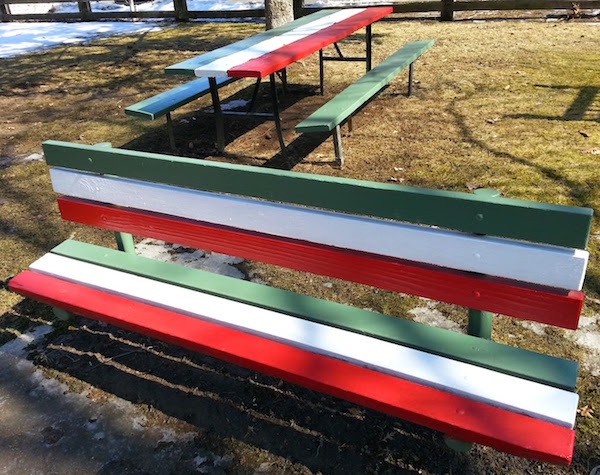 There’s a bi-lingual war memorial with the flags of The United States, Italy, and Pittsburgh, an Italian-colored park bench and picnic table, the flag rendered graffiti-style on a retaining wall, and one abbreviated stretch of picket fence. It was there, at the very end of Panther Hollow, that we had the great fortune to run into lifetime resident, local historian, and maintainer of the terrific pantherhollow.us website, Carlino Giampolo. “Everyone should have a fence to hide their garbage,” Carlino told us as explanation for the curious freestanding set of tri-colored fence at the edge of his property, the last plot in the Hollow as the dead-end Boundary Street trickles into Schenley Park bicycle trail. Carlino went on to tell us about growing up in Panther Hollow, when what is now Pitt’s lower parking lot was a ball field, community park, and cow pasture. When there were as many as six different operating businesses in the Hollow (today there are none, nor any obvious former retail spaces). He showed us where the hotel once stood in what is now his side yard, the community oven that would cook the neighborhood’s bread, and how self-sufficient the whole place once was (and not that long ago)–butchering their own animals, making cheese and butter from the small herd of cows they kept, etc. This one was really great. I really wanted one more paragraph at the end but I’ll take whatever I get. 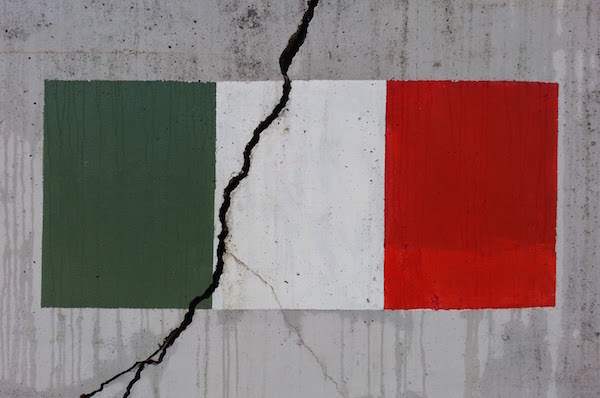 I’m sure 30 seconds of internet research would reveal why people left Italy–I mean how could you leave such a nice place to spend a vacation. My grandmother moved from Ireland to the States because she said she’d heard the street were paved with gold. I’m not sure my great grandfather found said gold. 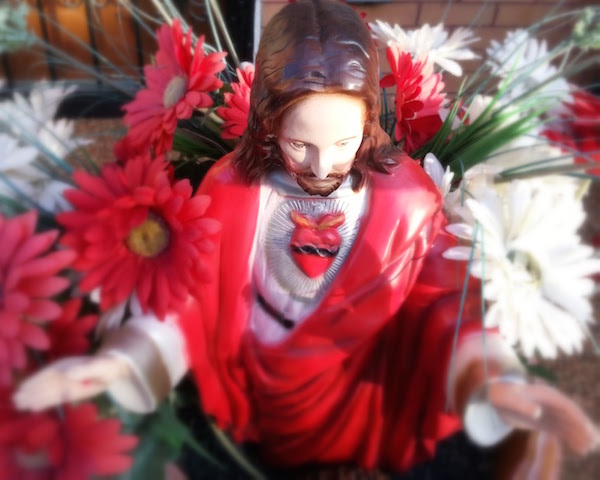 He was the first to leave and he met his demise in Pittsburgh at the age of 37.